3. Display - 5.9" in-cell IPS display with an HD+ resolution, brightness, contrast, color temperature, sRGB coverage, etc. UMIDIGI One Pro is a classic mid-range smartphone that promises reliable performance and good battery autonomy. It does have its own "quirks" such as dual stereo speakers, 15W wireless charging and a fingerprint sensor embedded in the power button. This is complemented by a pleasant design and solid build and makes the unit price of around USD 150 ever more appealing. The One Pro is excellent if you don't want to spend a ton of money on a smartphone and still get almost stock Android 8.1 Oreo, a very power efficient chipset, and a reasonably sized battery all packed in one good looking device. 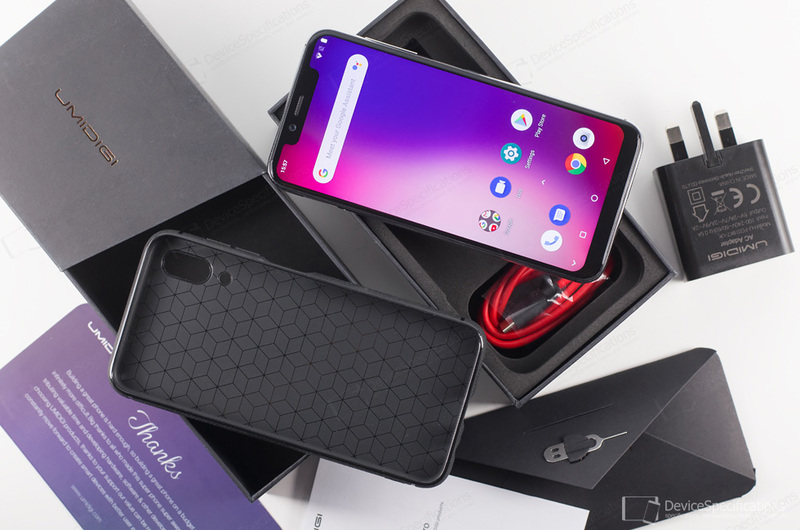 You can buy an UMIDIGI One Pro from various stores such as the official UMIDIGI Store on AliExpress, the official UMIDIGI store on Amazon UK or Amazon DE. UMIDIGI One Pro evolves around a 5.9-inch in-cell IPS display with an HD+ resolution - 720 x 1520 pixels to be exact. It is protected by a 2.5D curved glass of unknown brand. The back is covered with a 2.5D curved glass as well. The frame is made of aluminium alloy with a glossy finish. The glass back makes possible for the device to support wireless charging (15W). The 3250 mAh battery onboard the handset is paired with a 5V/2A~7V/2A~9V/2A fast charger. This model is based on a MediaTek Helio P23 chipset in its downclocked MT6753V variant. The latter has the first four Cortex-A53 CPU cores ticking at 2GHz and the other four - at 1.5GHz. The dual-core Mali-G71 MP2 GPU is clocked at 700MHz. UMIDIGI One Pro supports a plethora of network bands including 2G GSM (Bands 2/3/5/8), 2.5G CDMA (1X/BC0/BC1), 3G WCDMA (1/2/4/5/8), 3G TD-SCDMA (34/39), 4G TDD-LTE (34/38/39/40/41) and 4G FDD-LTE (1/2/3/4/5/7/8/12/13/17/18/19/20/25/26/28A/28B). These bands and VoLTE are supported by both cards simultaneously. The rest of the connectivity options include dual-band Wi-Fi 802.11 a/b/g/n, Wi-Fi Direct, Wi-Fi Hotspot, Wi-Fi Display, Bluetooth 4.1. UMIDIGI One Pro supports full-blown NFC where Android Pay and on-vehicle payment can be used. As for the camera department details, the front-facing shooter is equipped with a 16MP Samsung S5K3P3 sensor paired with a 5-element lens with an f/2.0 aperture. It supports face unlock. On the back, there's a dual camera module. The main shooter packs a 12MP OmniVision OV12870 sensor coupled with a 6-element lens with an f/2.0 aperture, dual LED flash, and PDAF. The auxiliary rear camera features a 2MP GalaxyCore GC2335 sensor, interpolated to 5 megapixels. The fingerprint sensor is side-mounted and is actually combined with the power button of the handset. There are two stereo speakers on board - one at the bottom and one with the earpiece. The model is equipped with a USB Type-C 2.0 port and a 3.5 mm jack. It runs on almost stock Android 8.1 Oreo. 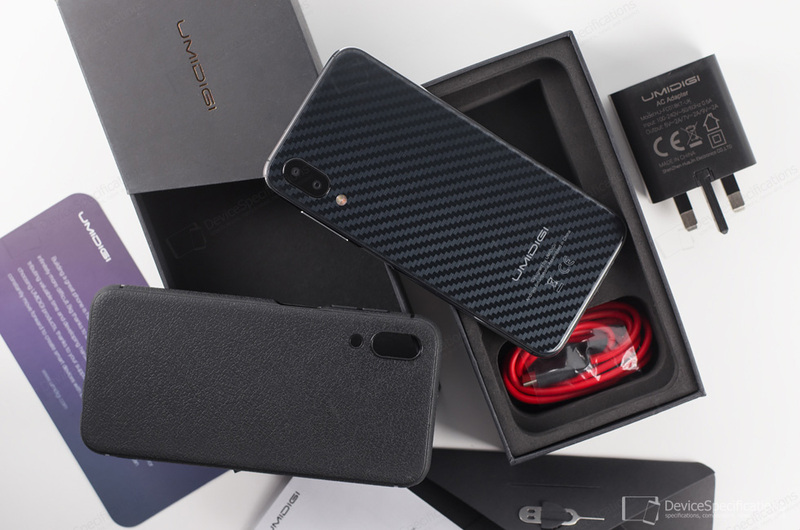 Complete UMIDIGI One Pro specifications.